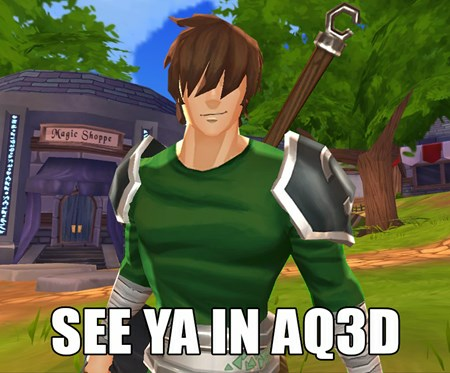 AQ3D Alpha is (almost) here! We are SO close... but we're not there yet. 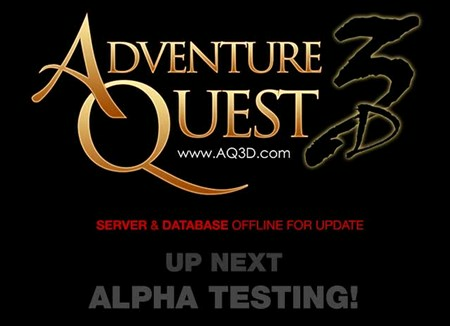 AQ3D is leaving behind the fun Tech Demo phase today and entering a new, exciting stage of development... Alpha! But right at this VERY SECOND, the servers are offline while we perform some merging of tables and databases and make sure the server hamsters have state of the art wee tiny running shoes. Once we enter Alpha Phase, a lot more people are going to be able to play. Not just active AQW members, but former members, AC purchasers, DragonLords, StarCaptains, Guardians, those who have bought Varium, Soul Gems and even Smash Coins. Tech Demo testers can expect their Tech Demo badges and Star Swords to arrive by the end of today, and remember that all Tech Demo testers, our new Alpha Testers and even those who tested Legends of Lore will (toward the end of Alpha) recieve the Alpha Knight armor and access to the rest of the Alpha Knight Set. Get your Firefox and IE ready (because AQ3D doesn't work on Chrome. 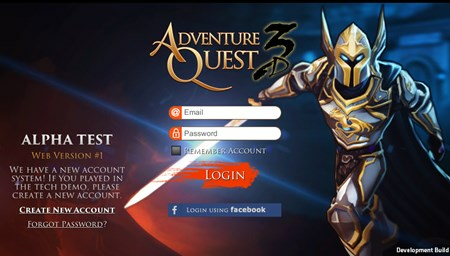 They dropped support for Unity)... before the sun suts here in sunny Florida, you will be able to create your shiny new AQ3D account, and get a very early shot at grabbing the coolest character name you can think of.